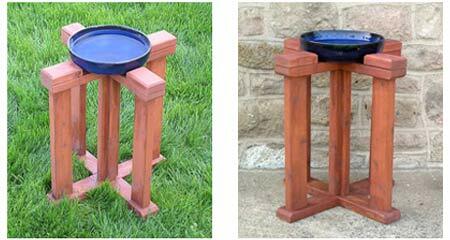 Check out Skil’s site for instructions and the complete down-low on how to build your own sweet bird bath stand. You’ll find a complete materials list and instructions on assembly, along with a few tips for the novice builder. You can put together a bird bath stand like this one in an afternoon, and it’s sturdy enough to provide years of bird happiness. What’s even better, though, is taking these plans and altering them create your own design, then building a custom bath.